The performances of legends are eternal. Some of these make an indelible mark and become timeless. These masterpieces are then recognized as ‘Hits,’ And we at Saregama have been extremely fortunate to be their custodians. All these artistes have been associated with us since the inception of their careers. We have recorded them during the peak of their careers and have preserved their art form from evanescence and have been releasing them over time to meet the demand from true connoisseurs of music. The great works of these maestros continue to be a source of inspiration to the future generations. Panditji’s birth name was Shivaputraiyya Siddramaiyya Komkali Math. Born on 8th April, 1924 in Sulebhavi near Belgaum (Karnataka), he was soon acclaimed as a child prodigy. His father was his early Guru. He made his debut at a music conference in Mumbai in 1935. Kumarji began tutoring under Prof B.R. Deodhar a doyen of the Gwalior Gharana, who ensured a strong foundation for his musical journey ahead. Pt. 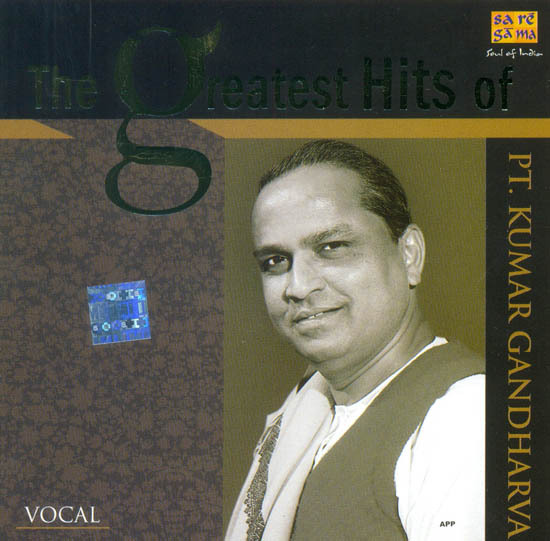 Kumar Gandharva transformed Gwalior Gayekee and took it to new heights. His brilliance resulted in a unique style which came to be popularly hailed as the Kumar Gandharva Gayekee. Panditji gave new dimension to the traditional regas, created new Dhun-ugam ragas and brought out the Nirguni color of Bhajans. Smt. Vasundhara Komkali (wife), Pt. Mukul Shivputra (son), Kalapini Komkali (daughter), Bhuvanesh (grandson), Pt. Satyasheel Deshpande, Pt. Madhup Mudgal and others, continue to be the torchbearers of Kumarji’s unique style and keep the journey on…. The album opens with a beautiful morning melody in Raga Saheli Todi, a magnificent creation by Kumarji. The following tracks are all in Madhyalaya (medium tempo) with a charm of their own. Raga Alhaiya Bilawal is a late morning Raga. Raga Gaud Sarang has the flavor of afternoon. Raga Puriya Dhanashri is a twilight melody. Raga Chaiti Bhoop is a creation of Panditji. Raga Bahar signifies the onset of Spring. ‘Raga Na Daro Shyamji’ in Raga Sohni, is an immortal rendition by Panditji. This album from the Greatest Hits series would’ve been incomplete without Kumarji’s Nirguni Bhajans penned by the revered Sant Kabeer.